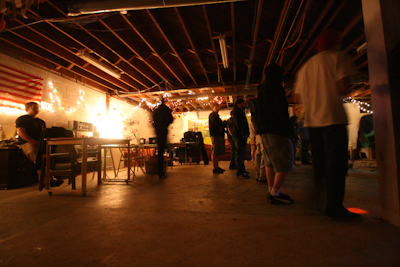 The Secret Art Space, a DIY music and art venue located in SouthSide Bethlehem, will host its last shows later this month. The venue has been open for over four years and has been host to many, many bands, arts & craft shows, and other events. The organizers of the space are currently collecting photos and memories of the Secret Art Space to be included in a final book to be distributed at the last two shows. More info can be found here. Although certainly one of the more prominent and prolific spots for small shows, there are plenty more spaces still around, including some new ones that have popped up, including The Coven, The Epic Center, Dracula’s Moonbase, Big Blue Hell, Uncle Tom’s Cabin, and Good Weekend.